I took this photo and the few next ones on April 30th, when I went over to the riverfront to check on the Swan’s nest again. 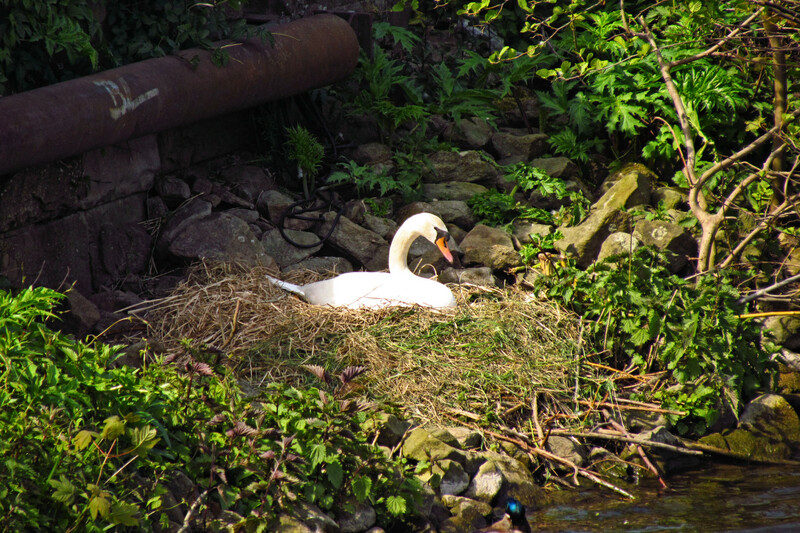 It turned out to be the last day the Swans were guarding their nest, because the next morning the eggs were gone and so were the Swans. Nobody was sure what happened, but the nest probably got raided by another animal – I happened to get a glance of the eggs that Sunday and even then there were only five of the original seven left.